How Flexible Are You When Your Fist Is Clenched? When our hands are relaxed and open, they can move fluidly, resiliently, from task to task—grasping items, reaching out to assist or hug someone, transferring easily from a writing to a driving position. But can you imagine moving from holding a child, to writing a check, or even to feeding yourself, with your hand squeezed into a tight fist? Chronic stress, compounded daily, creates a body filled with tension, leading to a tight, stiff Central Nervous System (CNS). Our CNS is built on a ‘re-orienting’ response, which requires it to stop, take in sensory information, and make decisions based on the environmental circumstances it finds itself in at any given time. In this way, we are similar to a Doe standing in a meadow, next to a road. She hears a variety of noises coming from the cars passing by—revving engines, honking horns, the roar of tires. She is used to those sounds, so she is simply eating her grass, enjoying the sunny day. However, if a twig were to break in that meadow, she would immediately freeze, assess the situation, and reorient, deciding if she needs to take flight or continue to eat. Our re-orienting response works much the same way. If we are presented with a situation that causes alarm, we respond by fight or flight, or we re-orient to disregard the potential threat. But what happens physiologically when that occasional threat turns into a chronic feeling of anxiety or stress? 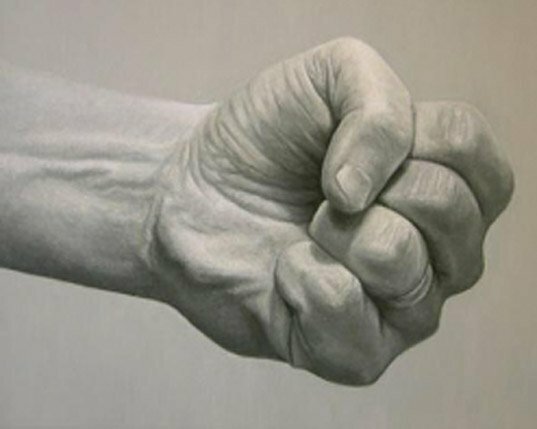 Just like a tightened fist, we can get stuck in this threatened position, always poised for fight or flight. This inhibits our flexibility and resilience. In addition, in the midst of stressors, we can’t seem to return to that position of flexibility when we need it the most. So, let’s try this exercise together. Take your hand and create a tight fist. Imagine that your tightness is coming from all the stressors in your life: you got in a fight with your spouse, your car had a flat tire on the way into work, your boss just decreased your work schedule, your phone bill is due and you do not have the money, and on top of all of that your child returns from school crying every day. With each new stressor you think of, squeeze your fist even tighter. Uh oh, now the dog has a bladder infection and is urinating all over the new carpet. Squeeze tighter. You have a doctor’s appointment and the car won’t start. (Squeeze even tighter). This is how daily stressors add up to create a chronically tight system. Keep your fist tight a bit longer and recognize how, holding your fist that tightly for so long, you actually stop noticing the effects—tightness has become your ‘new normal.’ Keep holding it. We’d like to introduce you to a training program that will help you learn to relax. It will give you the ability to open your fist and release that chronic tightness. That’s a good thing, right? No one wants to stay in this wound-up, stuck position. Now, very, very slowly, start to relax your hand. Feel your fingers creak and crack as they begin to unfold, and notice how your hand—somewhat painfully—lets go of the tension. Sometimes, change—even good change—is difficult. Just like your opening fist, a chronically stressed body can go through an interesting journey as it enters the ‘renormalization’ process. Yet these changes or ‘shifts’ are an important physiological step in maintaining a healthy system. NeurOptimal® Dynamical Neurofeedback® introduces a brain training process that enables you to release your stressed-normal position and to find a place of resilience. NeurOptimal® Dynamical Neurofeedback® measures your cortical activity through your scalp and mirrors back that activity, training your brain to find its own ‘renormalized,’ optimized position. Supported by a NeurOptimal trainer, this process helps individuals live from a flexible, fluid, and empowered place. Are you ready to let go of that fist? NeurOptimal® is a painless and robust program that will train your system to relax, thereby transforming your life.